I’m going to share with you one of my favorite pieces of knitting equipment. It’s something a little unexpected, but super useful. It’s great for planning new projects. And it’s something you might already have… in your kitchen. Instead of measuring the length of yarn (which would be both annoying and very very difficult), I weigh it. A new skein of yarn will always have the weight and length (for example, 100g and 250 yards) on the label, so with a little math, you’ll be able to figure out how many yards are in any half-finished ball of yarn. This is the one I have. I love it. It’s got settings for grams and ounces (I like using grams, since they’re a little more accurate than ounces). 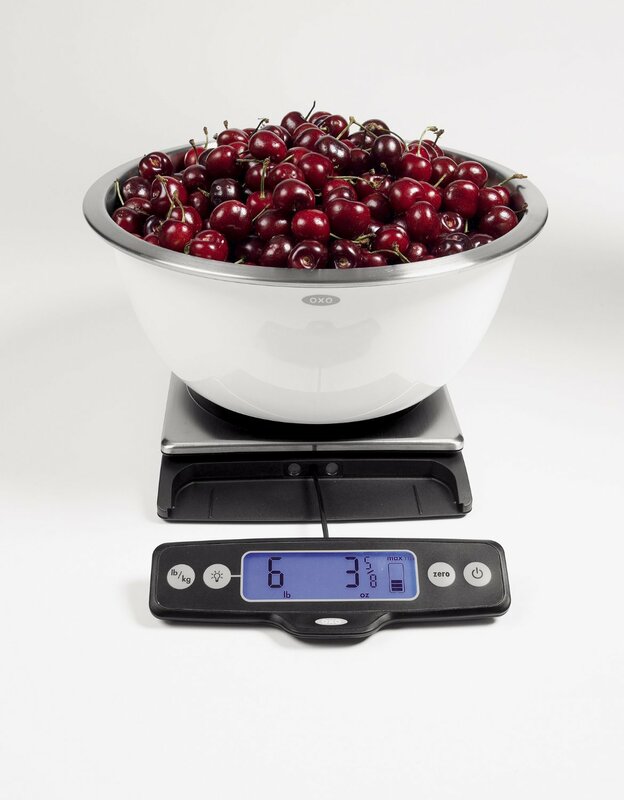 It’s also great, because the little control panel/readout can be pulled away, if you’re weighing something big (like a bowl of cherries or a whole sweater). But, mostly I like this one because it’s the one we already had (we got it as a wedding gift years ago). Really, any fairly accurate kitchen scale works for weighing yarn. 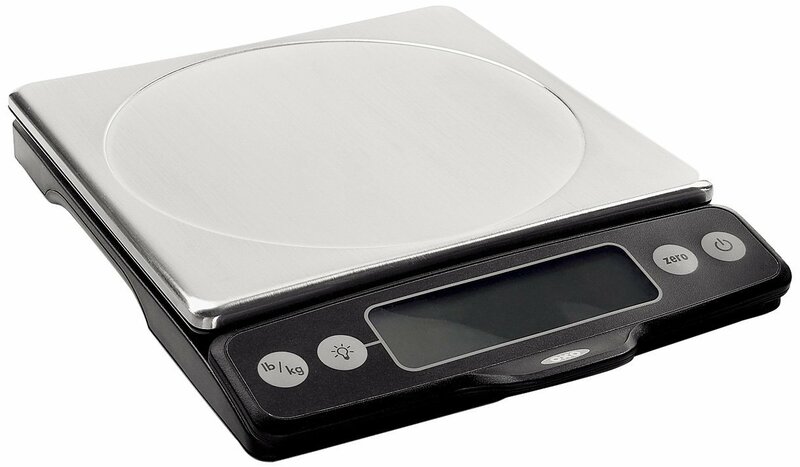 So, what do I use my scale for? Just about anything where I’m trying to estimate, predict, or calculate how much yarn I have left or how much yarn I need for a project or how much yarn I’ve already used. I’ve also used my scale to plan out my mother bears. I figured out how many grams of yarn I need for each part of a bear (skin, pants, etc.). Then, I can go through my stash and weigh my bits of yarn to figure out which are big enough for another bear. I try remember how much yarn I use of each skein of yarn, but sometimes yarn lives in my stash for so long, I forget what I used it for. So, again I break out the scale to get an estimate on how much of a half-finished skein is left, which helps when I’m planning out a new project. It seems like a silly addition to a knitting stash, but a scale is super useful! Do you have a favorite knitting tool that you re-purposed from somewhere else? This entry was posted in FYI and tagged gram, knitting, scale, weigh, yarn on March 1, 2017 by onemilljellybeans.